Carol Lupton assumes office as President. Fran Hebert assumes office as Past-President. Scotty Walker is the newly elected President-Elect. Angela Jones is the newly elected Vocal Division Chairman. Victor Drescher is the newly elected University Division Chairman. Sharon McNamara-Horne is appointed the new LMEA Webmaster. On May 19, 2018, the LMEA Board of Directors approved a proposal as pertains to Large Ensemble Assessments beginning in the 2018-2019 school year. LMEA will continue to make available assessments at the district level. Regional/State Large Ensemble Assessments have been eliminated. Please click on the following link to view the proposal that the Board of Directors approved. 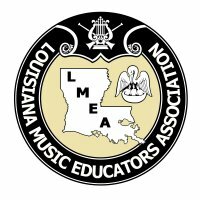 On, May 19, 2018, the LMEA Board of Directors approved a proposal by the Band Division Chairman. The proposal modifies the 1st round audition protocol in the selection of students for All-State Band and Orchestra Winds. The approved proposal changes some of the procedures used during the 1st round auditions. The approved proposal also provides enhancements to the quota system of alternates for 2nd round auditions. District Directors will share the protocol with band/orchestra directors in their respective districts. These modifications will also be included in the updates to the LMEA website during the summer of 2018. The changes will take effect in the 2018-2019 school year. Deadline for submission of conference proposals for clinic sessions at the 2018 LMEA Professional Development Conference is June 10, 2018. Please click on the following link for access to the electronic submission of proposals. Please click on the following link to view all of the results of the 2018 Regional/State Large Ensemble Assessments. Congratulations to all participants! Please click on the following links to view the 2018 LMEA Professional Development Conference "Call for Research" and "Call for Collegiate Summit Session Proposals." Conductors for the 2018 LMEA All-State Choirs will be Mack Wilberg of The Mormon Tabernacle Choir for the Concert Mixed Choir and John Parker, noted composer, for the Women's Choir. 1st Round Audition selection for 2018 will be "O Vos Omnes" by Casals - 8 part - Tera Music TC128-. 2nd Round Audition selection for 2018 will be "Jabberwocky" by Sam Pottle - SSATB - Trigon Music - TG103. Congratulation to Angela Jones our new LMEA Vocal Division Chairman! Conductors for the 2018 LMEA All-State Bands will be Stephen D. Davis from the University of Missouri-Kansas City Conservatory for Music and Dance for the Symphonic Band and Catherine Rand from the University of Southern Mississippi for the Concert band. Please stay in contact with your District Director in preparing for the 2018 All-State 1st round auditions. The Board of Directors have approved a few protocol changes to audition procedures. Conductor for the 2018 LMEA All-State Orchestra will be Soo Han from the Baldwin Wallace Conservatory. Deadline for submission of All-State Orchestra (String) audition recordings is September 19, 2018. Conductor for the 2018 LMEA All-State Jazz Ensemble will be world-renowned bassist, Ron Carter. Deadline for submission of All-State Jazz audition recordings is September 17, 2018. Our Featured Clinicians for the 2018 LMEA Professional Development Conference will be Dr. Susan Brumfield and Dr. Andy Paney. Lamar Robertson will also return by popular demand. Quick to 2018 Outstanding Young Educator Nomination Form and Information.